Christmas is the best time of year for Merry Winters. She loves everything about it. Along with her best friend, they start a Christmas crafting business. She’s quite excited to attend a Christmas vendor event and even buys an RV to transport her crafting materials. Things are looking good for Merry. Then, it takes a horrible turn when she discovers her ex-husband’s dead body hidden in the RV. The prime suspect is Merry herself. Even her stepdaughter believes she killed her father. Then, to complicate matters even more, it is believed a winning lottery ticket was hidden somewhere in the RV as well. Merry knows nothing about any of these things. She just wants to be in the Christmas atmosphere, but instead she might find herself spending the holidays in jail. This is the first in a fun new series. Merry Winters is a wonderful, strong character with a deep love for her family and, of course, Christmas. She has two adult children and is very close to them and their father. She even adopts a pet guinea pig she names Ebenezer. 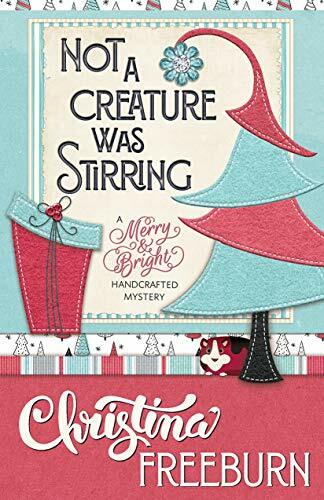 Not A Creature Was Stirring is fast-paced, funny, and filled with a quirky cast of characters. I devoured this book in a couple of days. It’s wonderfully written and I found myself engrossed until the last page. The author did a great job of transporting me to West Virginia. There were so many different possibilities of whodunit. I love a mystery that keeps the reader on their toes. Just when you think the case is solved, it’s not. I never read anything by this author before, but I'll definitely be looking for more of her work. 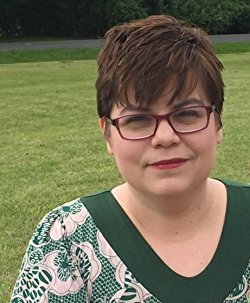 She has another cozy mystery series that I intend to add to my TBR. I always enjoy “discovering” new-to-me authors. This was definitely a hit for me. Although the release date is January, it’s never too late for a Christmas mystery. FTC Disclosure: I voluntarily reviewed an Advance Reader Copy of this book from Edelweiss and the publisher. I was not required to write a positive review. All opinions expressed are my own. Oh this sounds fun! I love a Christmasy cozy so I'm adding this series to my list.